Today George Soros lost his case in Strasbourg. In 1998 his investment fund Quantum Fund acquired 160 000 shares of the French bank Société Générale, and sold them several days later. This looked as a participation in a takeover attempt. The operation brought the profit of $ 2.28 million ($ 1.1 million at the French market, §§ 10-11). However in 2007 the Paris Appellate Court convicted Soros of buying shares based on insider information (Mr. P), and imposed a fine of € 940 507.22 (§ 30). 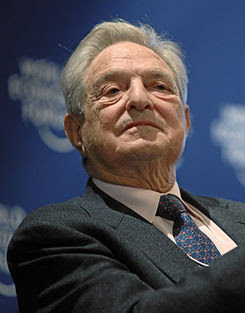 George Soros argued before the European Court of Human Rights that the French judgment had violated Article 7 of the Convention (nulla poena sine lege). The classic understanding of “insider trading” was that it is a use of “privileged information” by a person employed by the respective company or otherwise contractually related (§ 54). Does this conception cover Mr. Soros? The report of the French Commission of Stock Exchange Operations stated that it had been impossible to appraise whether the French law had forbade this kind of operations at the respective time (§ 14). However later the French law was amended in a manner making that operation clearly illegal. The ECHR majority (4 versus 3) ruled on introduction of additional tests. The 4 judges stated that he had “to doubt” about that operation, since previously the French first instance tribunals had ruled that an insider employed by a company could not use privileged information for such a personal benefit (§§ 56-58). Note: this question never went to appeal or cassation stage. They qualified George Soros as “institutional investor”, and since he was this kind of person, he had to bring a “proof of increased prudence” (§ 59). The minority opinion of 3 judges insists that the criminal law interpretation must be strict. The very fact that after the operation the French Government had to amend the written law shows that it was not precise at the respective time. The minority underlines the difference between “unavoidable imprecision” and “avoidable imprecision” of criminal law, and proposes to use this as a judiciary test.